My ‘Slow January’ is about to come to an end. Andddd I bunched up my thoughts together and decided to change how I play music. sell my tickets for the special gig. I was not able to concentrate on co-ordinating my stage. so couldn’t feel much challenge eveytime. But because its so simple, the sound system really does matter. or a place with super great sound system. 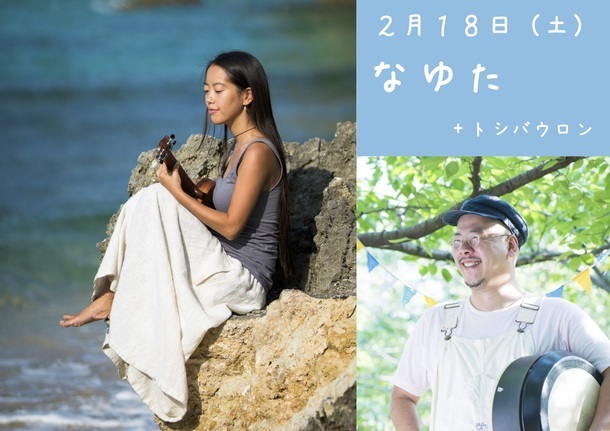 My first special performance will be on the 18th of February! There are 120 seats to fill and I really want to fill it up. It’s not a big number but it will be a challenge for me to do this in 3 weeks. please give me a message and I would loooove to go sing couple of songs to sell my ticket. So pleeeeeease let me know. I’ve been playing with him everytime I go to Tokyo since I was in high school. His instrument is super special too. It’ a Irish instrument called bohdran! It matches my ukulele and song very well. I mean, Toshi is like super good with adjusting with others. 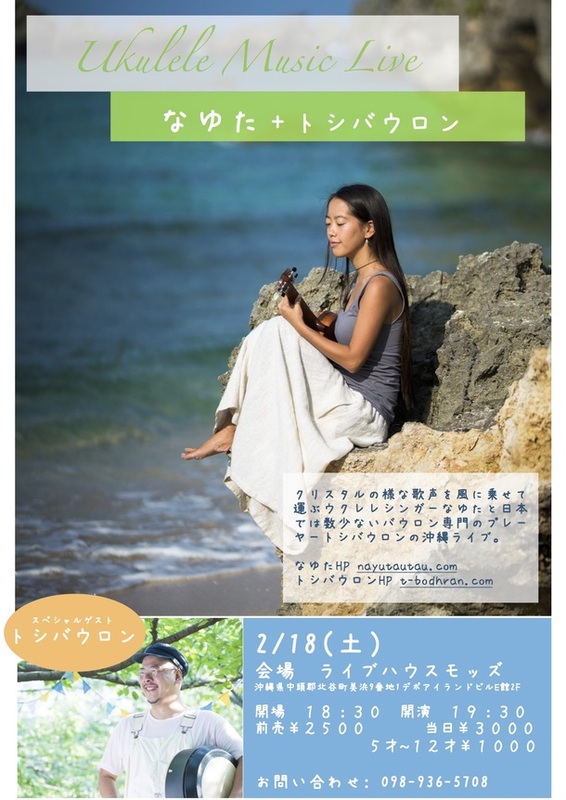 Ukulele singer/songwriter Nayuta and bohran player Toshi’s collab performance in Okinawa! Bilingual singer/songwriter. Debut with her first album「Nayuta-utau」 on 2010. Wrote/sang a theme song for an NHK drama 「Recipe of Universe」 on 2011. Her warm, natural voice and sweet lyrics are fancied by a wide range of age group. The number of bohran players in Japan is very low… but Toshi does! He is great at grooving with all kinds of musical internments but every time he plays, his glasses flies off, his neck moves back and forth…so his body movement is rated both positively and negatively.